Hello! I hope you’ve had a great week so far! I dropping in today to share some of the progress I’ve made on the two rooms I’m making over for the One Room Challenge! 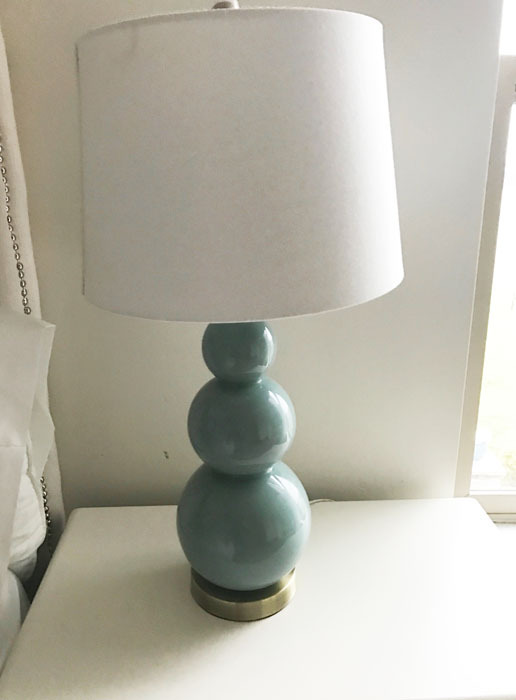 First I wanted to share a lamp makeover I did. 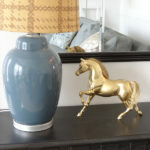 I have had these matching lamps for years that I bought from Homegoods for my family room sofa table. Although I’ve loved the shape of them they have always been a bit short for space. 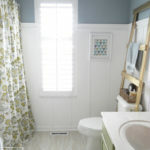 After finding some better scaled ones (at Homegoods again) I decided to use these in my master bedroom makeover. However, they were not the right color for my bedroom. So this week I painted them. 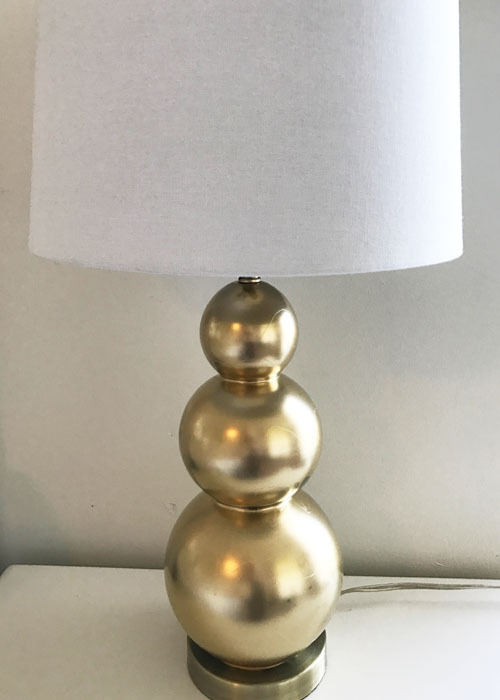 At first I thought I wanted the lamps to be gold so I took off the shades and taped the electrical parts and spray painted them gold with THIS spray paint (affiliate link). 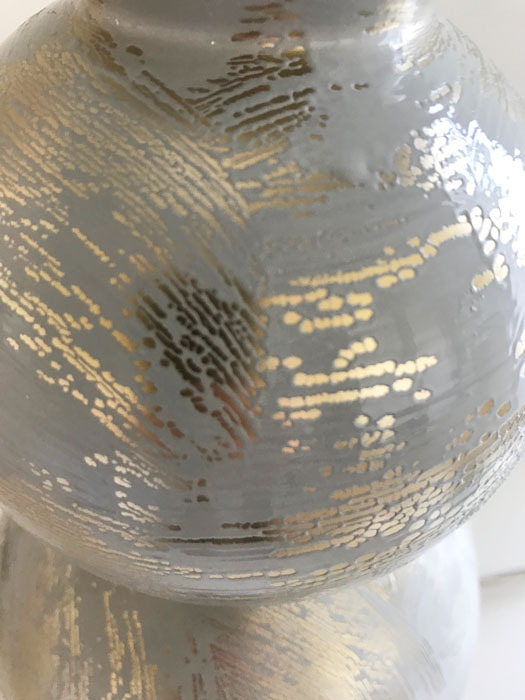 I didn’t end up liking the gold color with the room so I decided to paint over them in gray. 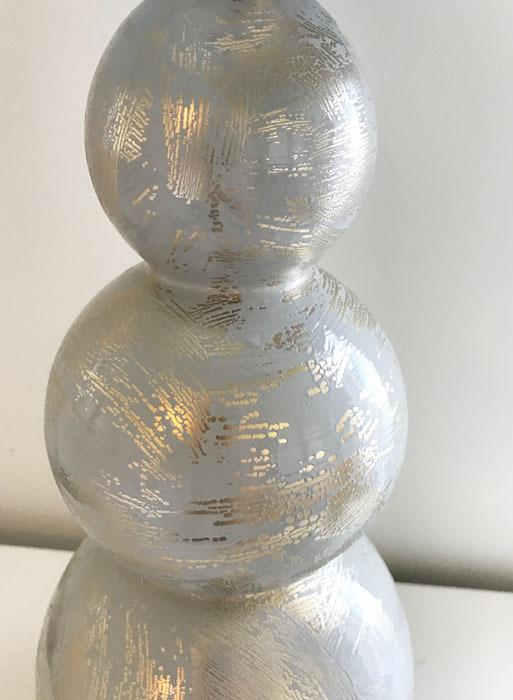 I used some gray sample wall paint I had on hand. 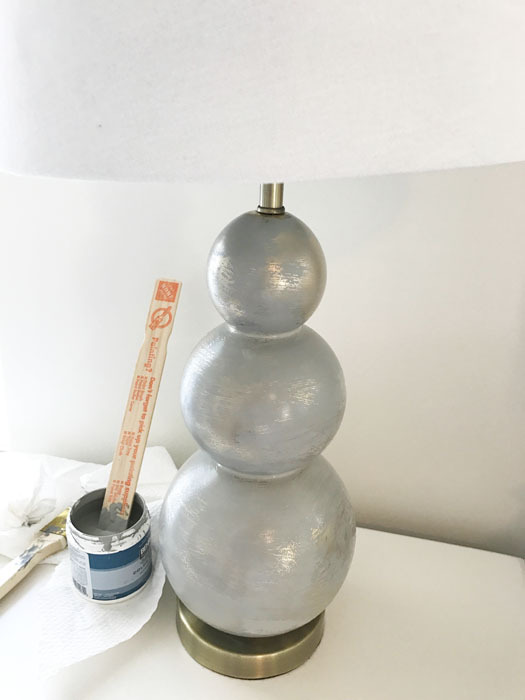 This is what it look like right after I painted on the first coat of gray paint. I liked it ALOT! It think it gives a cool artistic look to the lamps! 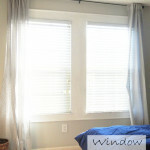 Another project I worked on this week was window treatments for my daughter’s bedroom makeover! 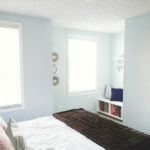 I bought these white roman shades on sale at jcp.com for $23 a piece (in real life they look white not the color below). 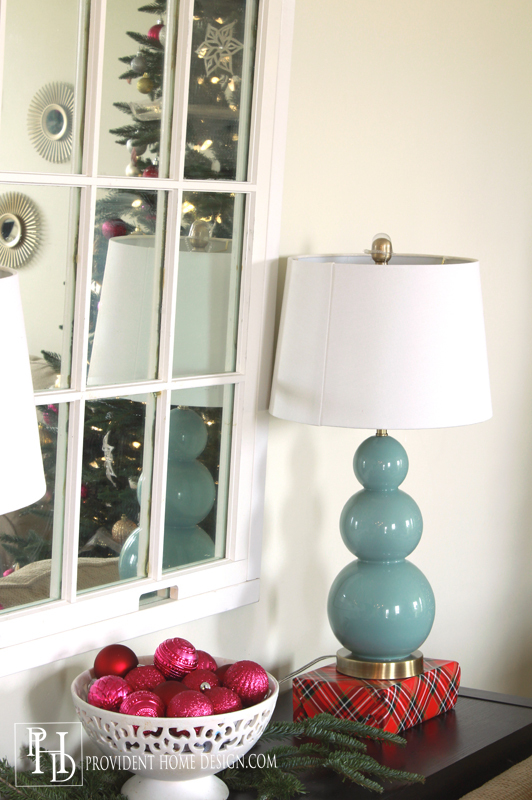 I bought the white shades with the intentions of embellishing them in a similar fashion as the Pottery Barn Kids ones below (that sell for $200 a shade). 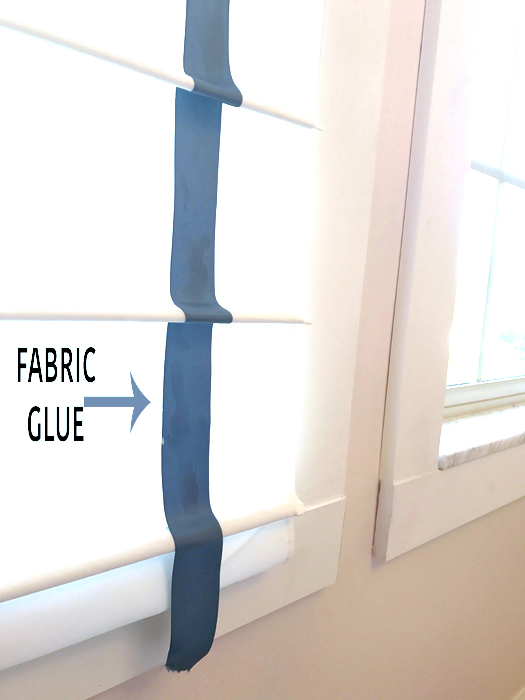 To accomplish this I purchased THIS 1.5 inch grosgrain ribbon from The Ribbon Retreat and adhered in the shade with fabric glue. I decided to just do a single ribbon that comes down on each side and I love how it turned out!! 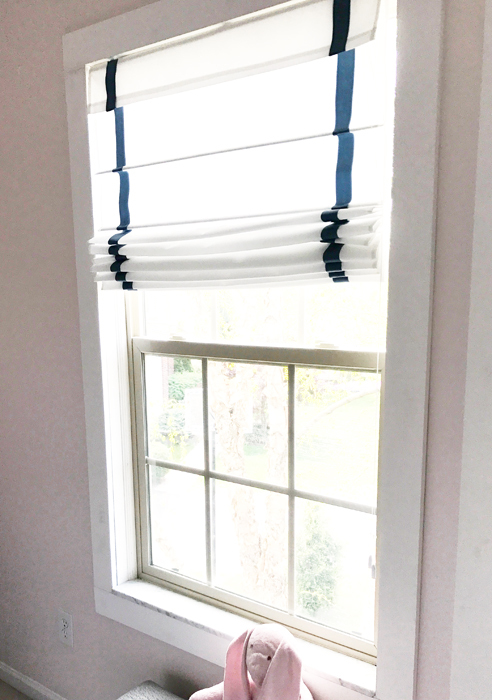 As you can see in the picture I also added wood trim around the windows which is a little detail that always makes a big impact and just costs about $15 a window to do (tutorial to come)! 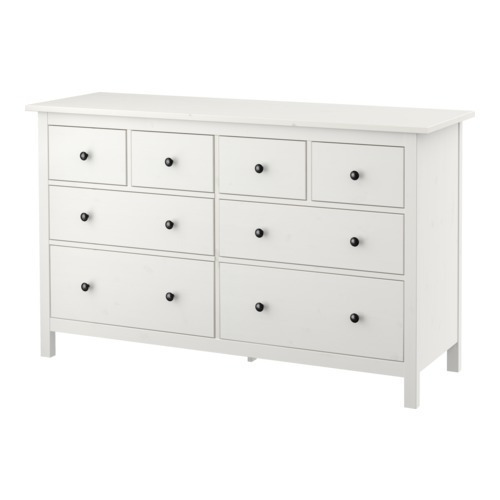 On Monday a delivery truck brought the 2 Ikea Hemnes 8 drawer dressers I had ordered online. 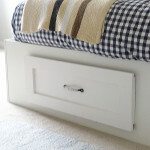 I bought one for my daughter’s bedroom makeover and one for my son’s shared bedroom. I was nervous about ordering two without really seeing them in person but I am happy to say they have even exceeded my exceptions! I love this dresser!! It is sturdy, super large and roomy, and beautiful! If you are looking for a large dresser you won’t find a better one for the price ($250). That being said they definitely take some time to put together (it took me 5+ hours to do the first one)! I used THIS youtube video to guide me in putting them together which helped a lot! You can check out the progress of the other ORC participants HERE! WOW, love, love, love what happened to the lamp. No one would EVER guess you had just painted it. REMARKABLE. Speaking of paint, I had a very large abstract picture over my fireplace. Chose it based on the colors, then redecorated…………Yesterday I took blue room paint, some silver and gold and completely changed the pix. It looks fantastic. My husband thought I was crazy when I said I was going to do this. It was sitting in the garage not being used so I had nothing to lose. He absolutely LOVES it…..now I can add Artist to my resume! What a wonderful surprise the way the lamps turned out! I think you’re onto something here! 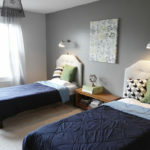 Love how these rooms are coming along! You have such a flair for decorating! Thank you, Rhonda, that means a lot! !